The incinerator industry promotes a false belief that the only choices we have in handling our waste is to either burn it for energy or to bury it in a landfill. The existence of what is known as a “waste-to-energy” (WTE) facility does not eliminate the need for a landfill. First, 10% to 15% of the waste stream cannot be incinerated and secondly, after burning there is a significant amount of ash (10% to 15% by volume, or about 30% by weight) which is still sent to a landfill. If you read Covanta and Wheelabrator incinerator contracts, you’ll find that their job is to get BTUs from municipal solid waste (including plastic and paper) for energy recovery. Montgomery County, Maryland, with its recycling rate of 54% through its “integrated” recycling, composting, and use of a 20-year-old “waste-to-energy” facility illustrates this point perfectly: Maximal diversion rates are not met. There is a cheaper, more effective, more beneficial pathway for managing society´s discards: zero waste. Zero waste practices such as recycling, reuse and composting generate more than 10 times the number of jobs than both incinerators or landfills and reduce vast amounts of pollution. 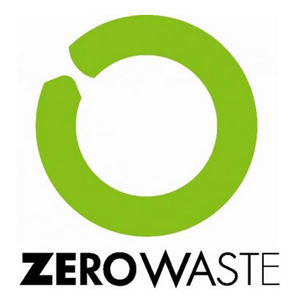 Cities with zero waste goals such as San Francisco (77%) and San Diego (68%) are achieving much higher diversion rates. Across the U.S. and Canada, more communities are adopting zero waste resolutions and implementing zero waste plans, and diversion rates are starting to rise. San Francisco’s waste study analysis found that 90% of its waste stream is recyclable or compostable. This clearly shows that a community implementing a diversion goal of 75% would have substantially less to landfill than a community with an incinerator. Additionally, the U.S. Energy Department has found that waste incineration is the most expensive way to generate electricity, and electricity from burning garbage makes more carbon dioxide and mercury pollution per kilowatt hour than electricity from coal. Covanta has branded its trash incinerators WTE facilities to secure taxpayer subsidies when in reality these facilities are highly inefficient and costly. Through its contract with the Northeast Maryland Waste Disposal Authority, which owns the Montgomery County trash incinerator, Covanta makes more than $20 million per year in operating fees and also receives a portion of the revenues earned from the electricity produced. Montgomery County residents and business owners should not find this surprising since they subsidize this facility by $20 million to $40 million per year through property tax fees. The economically sound choice for any community should be to have maximized resource recovery (utilizing zero-waste practices) focused on landfill diversion and to decrease greenhouse gas emissions. This would substantially reduce the need for new landfills, while promoting long-term sustainable environmental and economic benefits. It would save energy and money, create jobs and eliminate thousands of tons of greenhouse gases being generated by our country´s landfills and trash incinerators. Frederick native, Caroline has a degree in Environmental Biology from the University of Colorado, and a Master's in Energy Regulation and Law from the Vermont Law School.